The Pro Bono Committee of the Tampa Bay Chapter of the Federal Bar Association matches up lawyers who want to provide limited pro bono assistance with indigent pro se litigants in civil cases in Tampa federal court (that is, lawyers who volunteer their time to help people who are parties to litigation in federal court but who cannot afford a lawyer, only in civil cases, not criminal cases). If you would like to submit a request for volunteer pro bono assistance for a civil case you are litigating in federal court in Tampa, please fill out the fields in the following form and hit the “submit” button at the bottom. In the event we are able to locate a volunteer attorney to assist you, a volunteer attorney will contact you, usually within several days or a week of your request. 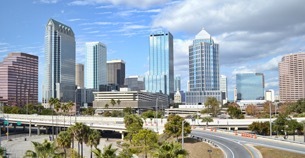 Please note that the presumption is that the scope of the attorney’s representation of you is limited to one-time counseling or representation, such as at a mediation or a client meeting to explain the litigation process, unless both the volunteer attorney and the litigant mutually agree to further representation; that the Tampa Bay Chapter of the FBA does not provide professional liability insurance for volunteer attorneys’ representation of litigants; and that submitting a request below does not create an attorney-client relationship or privilege, nor is there any guarantee that the Chapter will be able to find a volunteer attorney to contact you. You will remain solely responsible for the prosecution of your lawsuit. Earn pro bono hours and gain experience. Attorneys, become a member of the Tampa Bay Chapter of the Federal Bar Association, and you will receive emails from our Pro Bono Committee advertising pro bono opportunities to get involved, gain experience in federal court, and represent litigants who need your help. Please contact the Pro Bono Committee to learn more.